The latest Fortnite update version 4.5 introduces Dual Guns and the Fireworks Launcher, plus the new Playground LTM and Final Fight game modes. Epic Games is continuing to keep Fortnite alive and well, and as such, they've recently launched the game's latest update version 4.5 into the loving arms of players across the world. Among other tweaks and changes listed in the patch notes, the latest update also includes the new Dual Pistols weapon, a temporary Grenade Launcher tweak that turns it into the Fireworks Launcher, and two new game modes in the form of Playground LTM and Final Fight LTM. By far the biggest change introduced in the Fortnite update version 4.5 is the addition of the Playground LTM (limited-time mode). This game mode allows players to join a server with up to three of their friends for some low-pressure gameplay. Not only will they not have to worry about a host of other players looking to gun them down, each private match will have a general increase to weapons, ammo, and loot drops, and the storm won't begin closing in until 55 minutes have elapsed. 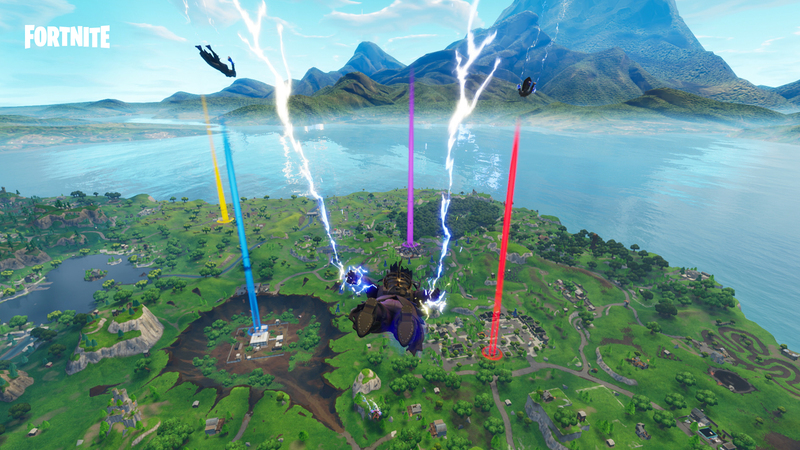 Matchmaking has returned to a healthy state and we are continuing work to get the Playgrounds LTM re-enabled. Thank you for your patience while we resolve these issues. Unfortunately, the update and the addition of Playground LTM seems to have caused some server troubles, resulting in Epic Games having to remove the Playgrounds LTM from the service temporarily. Fret not, however, for the studio has stated that it's working on an emergency patch that should bring things back to working order shortly. The 4.5 update also introduced the Final Fight: Teams of 12 mode, which as might be expected allows teams of 12 players to duke it out with slightly altered gameplay rules. Instead of the storm slowly compressing all players together on the map, Final Fight instead stops closing in at set times during the match, at which point a countdown timer will begin ticking away. When the timer reaches zero, the team with the most players left standing wins the match. Players will also note that the new update includes the new Dual Pistols weapon, which should come in handy for those players who like to practice their gun-fu against would-be aggressors. The Dual Pistols do between 41 and 43 base damage, making them a potent option in their own right. The update also tweaks the in-game Grenade Launchers into something more festive, as players will note that they're temporarily called Fireworks Launchers, and will explode in a joyous display of sparkle and light. It also adds brand-new map markers, the likes of which can be seen in the above image. • Blocks that are removed while in edit mode are now opaque rather than clear. Blue, white, and red colors still indicate build status. • Adjusted to limit player's ability to peek through structures while editing. • Save the World and Battle Royale keybindings are now separated. Settings in one mode will not affect the settings of the other. • Changed the button that lets you re-roll one daily quest or challenge from 'Abandon Quest' to 'Replace Quest', to make the behavior more obvious. Fortnite players that are experiencing errors connecting to in-game servers should be sure to check over the Fortnite server status page, which provides up-to-the-minute updates regarding current issues and any other server errors. For the rest of the biggest and baddest stories concerning Epic Games' hit battle royale title, be sure to stop by the Shacknews Fortnite homepage.